Come every January, we conjure up a list with big hopes and dreams for the year ahead. Lose 30 pounds, run a marathon, read more, drink less coffee. Almost half of all Americans come up with at least one goal to better themselves in the new year, but only 8% actually succeed.1 The problem? Most people choose goals that are far outside their reach or require smaller goals to achieve the major goal. “Start with very very small steps,” says Dr. Lina Shihabuddin, psychiatrist and chief medical officer at RWJBarnabas Health in West Orange, N.J. Setting interim goals that break your bigger goal down into digestible steps minimizes the feeling of failure that can to lead to quitting when your central goal is simply too unattainable straight out of the gate. The other major downfall of most resolution-keeping is the inability to properly verbalize our goals. Experts suggest getting specific to help you commit to your precise goal, rather than the idea of your goal. For example, saying that you want to “stop smoking” isn’t as effective as declaring you will reduce your daily cigarette intake by one each week until you’ve stopped smoking. This year, your first resolution should be about setting reasonable goals for yourself to complete over the next 365 days. Second, come up with your small, specific goals to improve your life. Need some help? 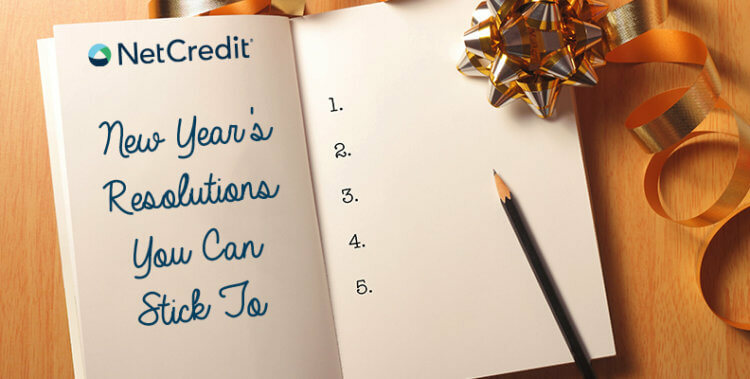 Choose some achievable resolutions from our list below. Learn a new skill: Go to the library and find a book on a skill you’ve always been curious about. Plan a project a month or so out to demonstrate that skill. If you have a budget, check sites like Groupon for discounts on classes. Read more: Give yourself a reading goal like a book or two per month and record your progress on sites like Goodreads for accountability. Procrastinate less: Use lists to keep track of tasks you need to accomplish and set due dates like you would with a project at work. If the task is large, break it down into smaller tasks to chip away at it. Travel more: Make a list of destinations you dream of going to and do a surface-level dive into how much each would cost. Take a look at your budget and see how much you have to save to make it happen. The first step will be saving up the funds; the second part will be booking the trip. Grow your savings: Have a goal in mind for your savings and come up with methods to achieve it. Experts suggest saving the equivalent to three month’s salary as your first savings goal. Try using apps like Qapital to help get you there. Volunteer more: First, take a look at your calendar and see how much of your free time you’d be able to commit to a non-profit on a consistent basis. That time window is now your goal! Search for causes close to you or find specific needs in your area on VolunteerMatch. Eat healthier: The way we eat is a habitual process, so changing these habits takes time. Choose progressive goals like reducing the amount you dine out to once per week or once per month. Going forward, don’t buy anything at the grocery store with ingredients you can’t pronounce to help you eat cleaner. Step up your exercise routine: This one is pretty common for most people, but try not to assign a weight goal to your fitness. Instead, commit to adding on extra time at the gym (e.g. work out for 30 minutes four times a week, not three times per week) or enroll in a new fitness program that really motivates you like a Zumba or HIIT. This way your commitments are tailored to how you prefer to work out and the weight loss is a side benefit. Improve your sleep patterns: Try to go to bed 5 minutes earlier each week until you go to bed 30 minutes before your normal time. You don’t have to go to sleep right away — choose a sleep-friendly activity instead. Go through a guided meditation on the Calm app or read a book. Your body will start to fall into its sleep cycle more smoothly and you’ll rest easier. Start journaling: Most people give up on writing down their thoughts because they find them to be trivial or think it’s too hard to explain. Journaling doesn’t have to be aimed at an audience — it’s for you! The important part here is just to start writing every single day. It doesn’t have to even have a minimum — one paragraph is plenty — just as long as you turn the habit into a quick daily reflection. The momentum will build over time. Excel in your career: This goal can look widely different to every person because of the span of occupations. Is it a promotion? Is it taking on more responsibility? Is it a raise? Define what the next level in your career looks like to you and plan what will get you there. If you’re unsure, take the time to sit down with your boss and find out. In AL, CA, DE, GA, ID, IL, MO, ND, NM, SC, SD, UT, VA, WI, all other installment loans are made by a member of the NetCredit family of companies. CA residents: NC FINANCIAL SOLUTIONS OF CALIFORNIA, LLC d/b/a NetCredit is licensed by the Commissioner of Business Oversight (California Financing License No. 603K020).